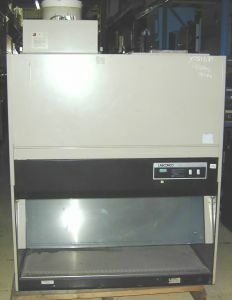 Product Description This 4' Labconco Purifier II is NSF-approved. Type B2 Total Exhaust Safety Cabinets, for work with agents that require Biosafety Level 1, 2 or 3 containment. 100% of the air that moves through the cabinet is exhausted to the outside (fan for external ventilation not included). *** Includes certificate of decontamination *** Stand is not included.